There's something special about filling your home with the sweet smell of freshly baked cookies. And a key ingredient to easy baking is ensuring that all my baking supplies are organized. It helps me save space in my drawers, it saves time and it makes cleaning up a breeze. As a professional organizer, I have done this for countless families, and I'm excited to share my best tips with you all today! In my kitchen, all baking flours are stored together in one drawer. Baking supplies like measuring cups, measuring spoons and icing supplies are stored in a separate drawer in open handled baskets. I use the large handled baskets to hold my measuring cups and my silicone cupcake liners. I use the small handled baskets to hold my measuring spoons and piping tools. The handles on the baskets allow me to grab them with ease. Pro Tip: If your drawers are too shallow for the baskets, try using drawer organizers to hold and organize each type baking supply. 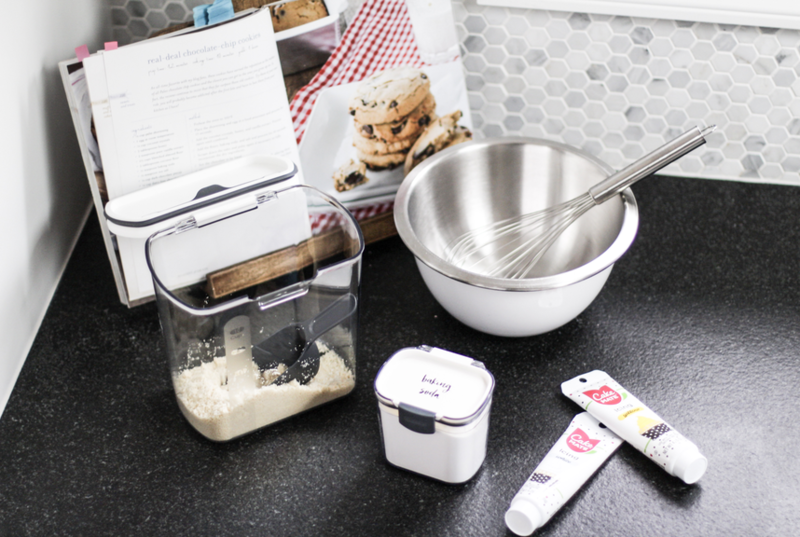 Baking supplies last longer when they're stored in air-tight containers. In order to prevent supplies from getting mixed up, I recommend labeling them. I love chalkboard labels because you can easily swap out what goes in the airtight containers. Using the chalk pens helps keep the words legible on the chalkboard label! I typically put two labels on the airtight containers. One on the front and one on the back. The one on the front is where I write the type of supply that is in the airtight container. The one on the back is where I write baking instructions or any other tips that might be on the packaging. This way, I am never without the useful information. Pro Tip: If you want to get really fancy, you can use hanging labels to tie around air-tight glass jars. I love doing this if you are displaying your jars on open shelving. Often when we are taking baking supplies from their original bags and storing them in airtight containers, we end up with extra that doesn't fit into a container or jar. When this happens, I suggest storing the extras behind the airtight container of the same supply. You can even put the extra supplies in a reusable food bag and store that bag behind the air-tight container of the same supply. 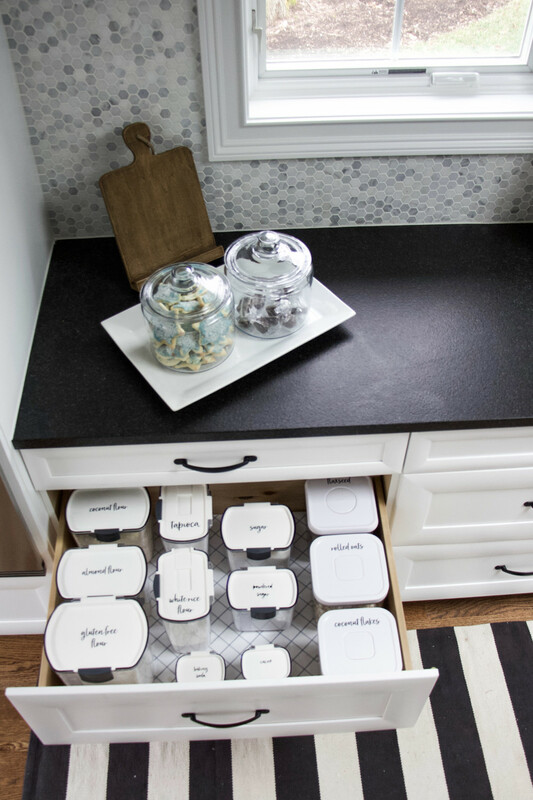 Storing baking sheets so they are easily accessible can be tricky. 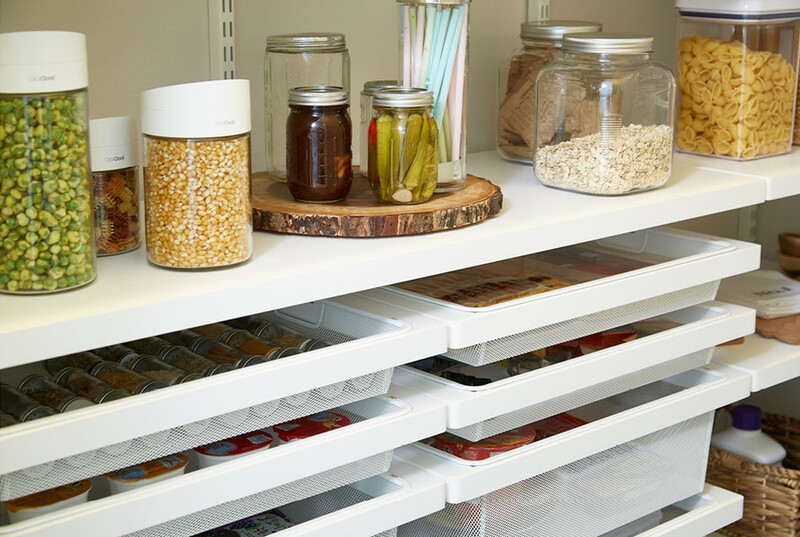 For smaller kitchens, I recommend using the over the cabinet organizer to eliminate in-drawer searching. 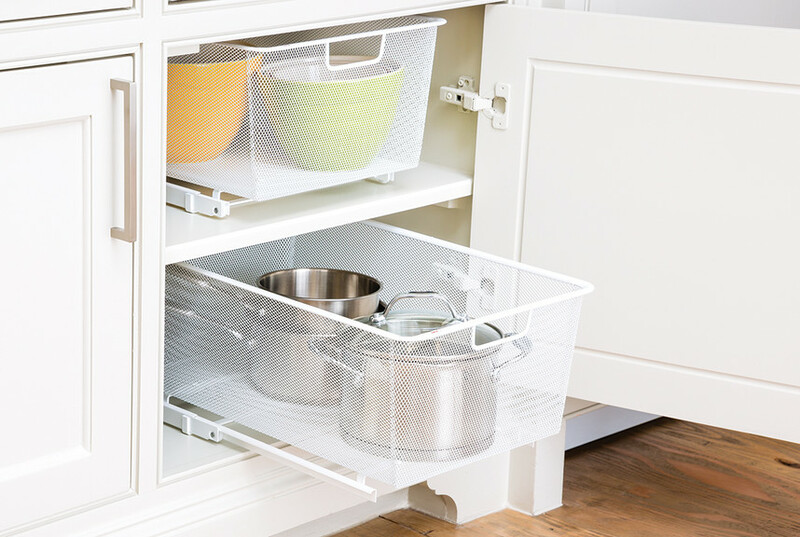 If you have space, I recommend a pull-out baking tray holder, or installing a tray organizer into a deeper cabinet like ones above the fridge or oven. Pro Tip: By standing up baking sheets, you'll be able to easily find what you need. I suggest keeping all baking sheets together in one slat, all muffin tins in another slat and all cutting boards together in a third slat. You'll never have to dig through all the trays and sheets to find what you need again. Once all the baking is finished, you'll need a solution to display all the cookies. I absolutely adore these Anchor Hocking Glass Canisters. 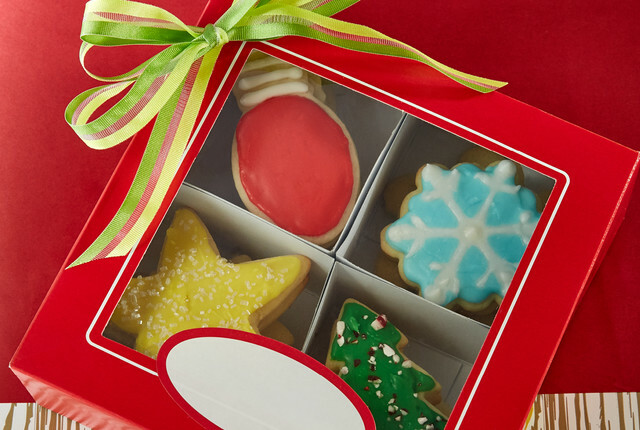 They are perfect to fill with cookies and other sweet treats. 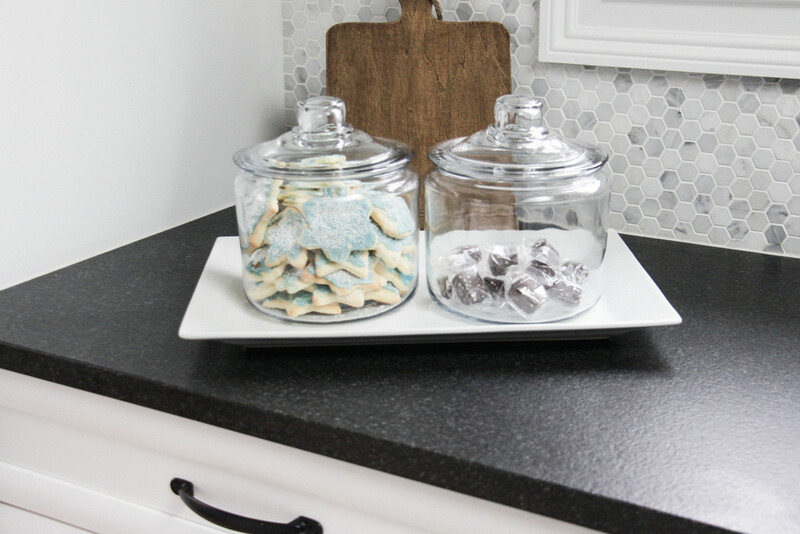 With three different sizes, these glass canisters can accommodate a variety of storage needs, and they add a touch of décor to your kitchen. 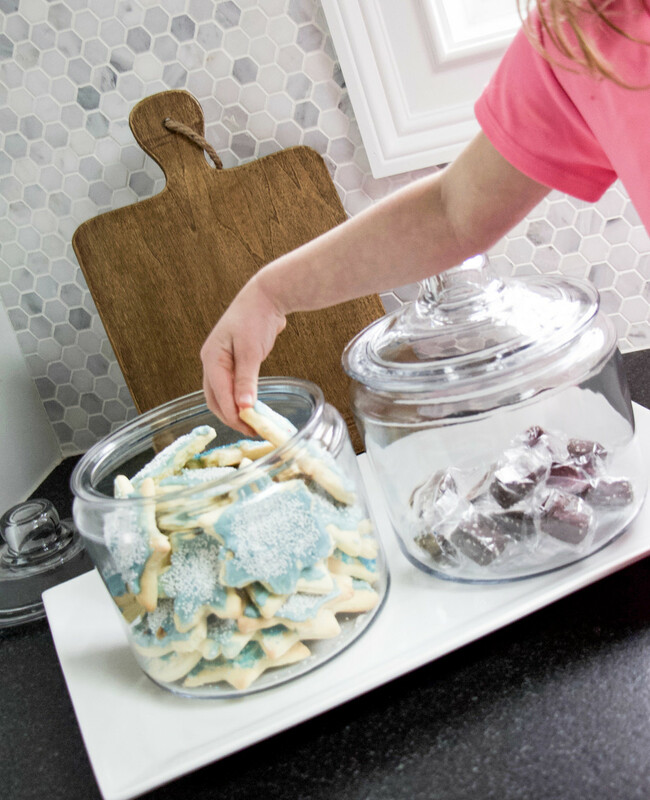 Plus, when they aren't filled with cookies you can use them hold almost anything, even cupcake liners or gift wrapping bows for a festive display. I love storing other baked goods in Glasslock Food Containers. The airtight seal helps keep contents fresh after day one. Pro Tip: Write the day you baked the goods on the container using a white board marker to keep track of expiration dates. Trust me, it feels so good to get all your supplies organized! For more tips and inspiration be sure to checkout my Blog and follow me on Instagram!